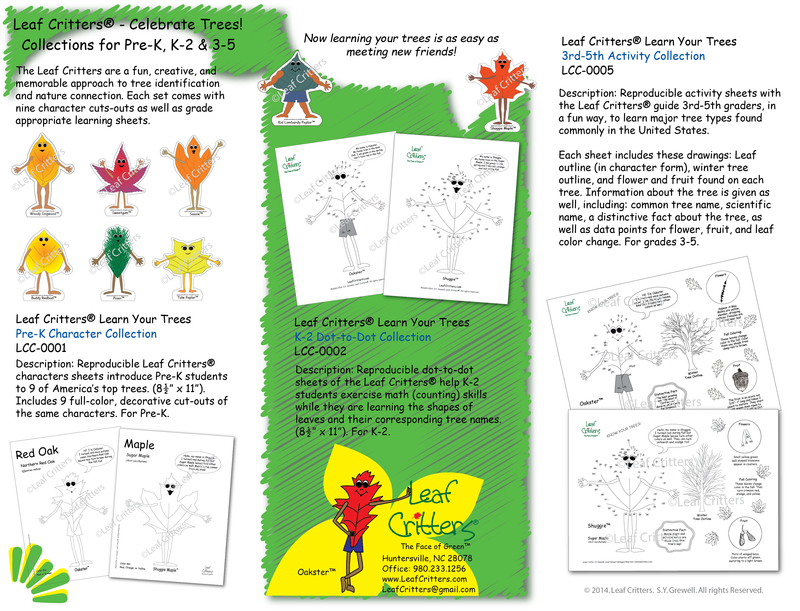 Leaf Critters® Celebrate Trees – Collections for: Pre-K, K-2, 3rd-5th. These include 9 fun Leaf Critters cut-outs. The red oak, sugar maple, sweetgum, dogwood, sassafras, redbud, tuliptree, lombardy poplar, and pine trees are covered!